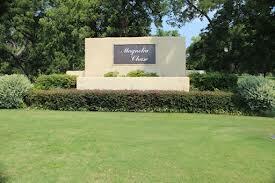 Magnolia Chase is one of North Bossier’s most prized communities. The homes here were built in the early 2000’s in neo-ecclectic style, primarily two story with brick and possessing well-groomed yards and gardens. Located just south of Benton and North of I-220, and stretching between Airline Drive and Benton Road, Magnolia Chase is perfect for a home owners looking for tranquil suburban matched with mobility and ease of travel. The neighborhood is close to some of the best shopping, dining, and entertainment also boasts some of the best schools in the area, like Airline High and Cope. It is also home to some of the best medical facilities in Northwest LA, such as those of Willis Knighton Bossier Medical center. Located minutes from Cypress Black Bayou, and the Red River, nature and sports enthusiasts will find much to do, but Magnolia Chase is also a few minutes drive to the Louisiana Boardwalk and the excitement of the casinos and racetrack, so there is always something fun to do within reach of home here. All, in all, living in Magnolia Chase is a convenient, classy, and affordable option in north Bossier definitely worth exploring.